The SSCA has established a Single Sideband (SSB) Voice Service on the HF radio. The SSCA has been awarded a Public Coast License by the FCC, call sign KPK, and is licensed to operate on a variety of 4, 6, 8, and 12 MHz frequencies. 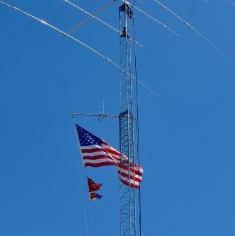 Broadcasting from a tower in SW Florida, the station utilizes a rotatable directional beam antenna tuned for the 8 Mhz marine band, which will effectively reach the entire Caribbean and beyond. KPK broadcasts daily at 1215 UTC (0715 Eastern Standard Time or 0815 Eastern Daylight Time) on frequency 8104. Relays are always welcome. Pass emergency and priority traffic, as well as traffic related to safety and security. 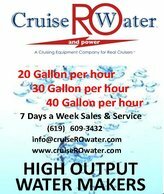 Provide current news updates of interest to cruisers from such sources as the Caribbean Safety and Security Net, Noonsite, The Salty Southeast Cruisers Net, Caribbean Compass, Bahamas Chatter and various cruising related Facebook sites. Provide any vessels needing assistance with land based resources. Through a partnership with the Caribbean Safety and Security Net (www.safetyandsecuritynet.com), any report of a safety and security nature occurring in the Caribbean will be immediately provided to the CSSN. Likewise, any incident posted on the CSSN website will be announced during this broadcast. 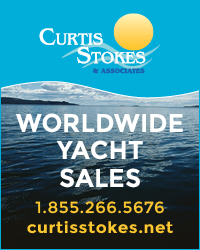 KPK can assist with radio checks, float plans, telephone contact with family and friends, boat to boat relays, access to medical or mechanical professionals, marinas, Internet searches, or any other assistance KPK may be able to provide. Although KPK is a service provided by the SSCA, all vessels are welcome and encouraged to participate in this service. Any vessel having emergency or priority traffic which we are not copying is advised to try contacting the Cruiseheimers Net which begins in 15 minutes on frequency 8.152 or the Doo Dah Net at 1700 Eastern time on frequency 8.152. Everyone is reminded that in an emergency you may use any frequency including the Maritime Mobile Service Net on frequency 14.300. Suggestions and comments regarding this service may be sent to KPK@ssca.org. SSCA's Trans-Atlantic Cruisers' Net which began last spring resumed operation on Wednesday, October 24th and is continuing through the traditional crossing seasons for winter and spring. To remain consistently 1/2 hour before Chris Parker’s Weather Net, the SSCA Trans-Atlantic Net will start at 2130 hours UTC year round on SSB frequency 12.350. Please adjust your local time accordingly. Chris Parker’s Weather Net begins at 2200 hrs UTC year around on SSB frequency 8.137 and simulcast on 12.350. The morning SSCA HF Radio Service Net will remain with a start time of 1215 hrs UTC year round. Please adjust your local time accordingly. We invite all cruisers to check into the Trans-Atlantic Cruisers' Net. Cruisers do not have to be SSCA members to utilize the service. This service will take position reports, do phone patches to family/friends, medical or mechanical professionals, or conduct Internet searches. Cruisers can also file float plans with the Cruisers' Net by using one of the US Coast Guard Auxiliary forms found on their website. SSCA will keep your float plan but your primary emergency contact should be a close friend or family member who is familiar with your boat and cruising plans. They should also have a copy of your float plan. SSCA can not be your primary emergency contact. In addition, we invite other stations to assist with relays. The more ears we have on the frequency, the more efficient the net will be. See the article in the May/June 2018 issue of Ocean Navigator Magazine about the creation of the Trans-Altantic Net.